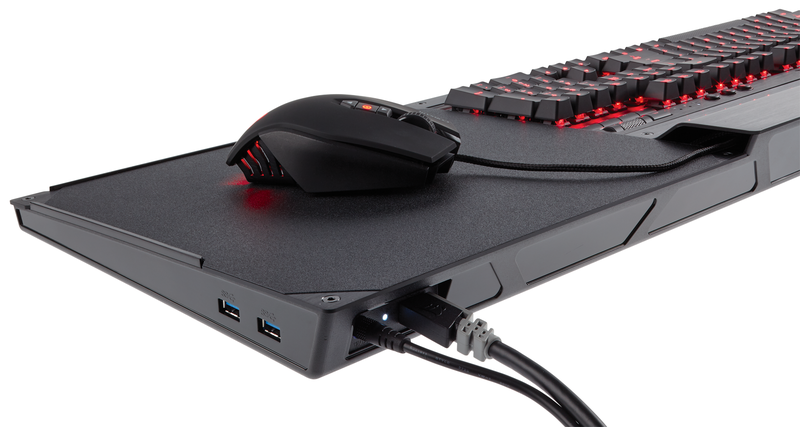 Lapboards are the hot new thing in PC gaming. The era of the living room computer finally has its last—and maybe most important—piece: Lapboards. Razer’s Turret finally shipped in late April and today Corsair announced that its competing Lapdog ($120 on Newegg) is available for purchase. It’s been a long time coming. We’ve been seeing lapboard prototypes and the like for years now, and none ever made it to market before these two. But there are some huge benefits. Lapboards allow you to utilize a mouse and keyboard in the living room without hunching over a coffee table or putting a hardcover book on the couch as a “mousepad” (something I’ve done multiple times). And a lapboard looks a hell of a lot nicer than keeping some crappy throwaway keyboard on the side of the couch. The Corsair Lapdog builds in a powered four-port USB 3.0 hub and a dedicated cable compartment. As far as the latter point, Razer’s Turret seems like the early winner. It’s sleek, it’s small, and it folds up and sits in a dock when you’re not using it. I’ve actually been experimenting with the Turret on airplanes—it’s easier than setting my laptop on the tray and then splaying my elbows out to the side to type. On the other hand, Corsair’s larger footprint is more comfortable both for typing and mousing around, and it accommodates a full-scale K65 or K70 mechanical keyboard—although neither a mouse nor keyboard is included in the $120 lapboard itself. You’re basically buying a very nice piece of padded aluminum. 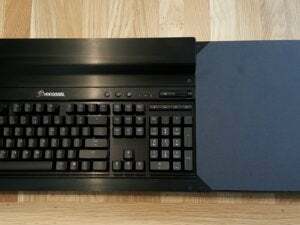 The Corsair Lapdog comes without a keyboard. Either way, it seems like a pretty useful peripheral if you buy into the living room PC shebang. I don’t know how many of you that is—for better or worse, I haven’t heard much about Steam Machines lately. 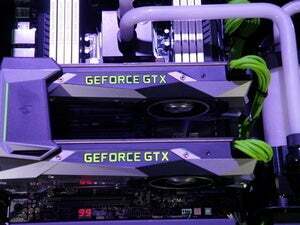 Manufacturers seem to have cooled off trying to push PCs into traditional console spaces. We’ll be reviewing both, nevertheless. The Turret sells for $160 and includes a miniature keyboard and mouse, while (as I mentioned) the Lapdog is $120 with a bring-your-own orientation. Look for our full impressions in the near future.